Follow-up treatment after melanoma is vital: It can help prevent recurrence or help you treat any new cancers immediately. “Follow-up visits to an oncologist or specialized dermatologist should occur every three months for a minimum of five years,” says Jeffrey S. Weber, M.D., deputy director of the Laura and Isaac Perlmutter Cancer Center at NYU Langone Health in New York. Dr. Weber spoke with HealthCentral about the chances of melanoma recurrence, the importance of follow-up care, and new immunology medications for melanoma. Why is follow-up care so important? “People often think of fair skin, blue eyes, and blond hair as the highest risk factors for developing melanoma, but the highest risk factor is actually having had melanoma in the past,” says Dr. Weber. It doesn’t matter whether the cancer stayed within the skin or spread to other areas of the body. 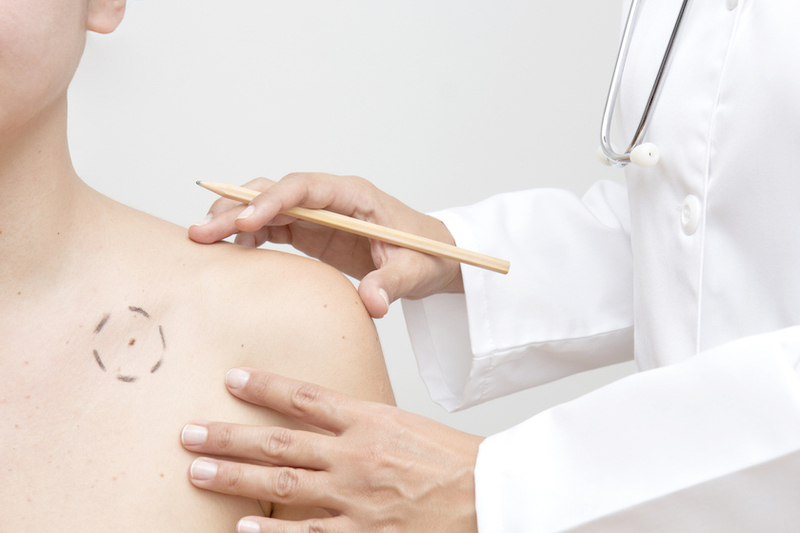 If you have had melanoma previously, you have a high risk of developing a new melanoma. If your melanoma was identified and treated in an early stage, Dr. Weber recommends follow-up care with your dermatologist or family doctor, every six months at a minimum, for the rest of your life. If your melanoma was not detected and treated until an advanced stage, when it spread to your lymph nodes or other areas of your body, your follow-up care should be completed by your oncologist. This often continues for about five years. If you are cancer-free for five years, your oncologist might suggest further follow up be completed by your dermatologist. What is the likelihood of melanoma returning once it is treated? This depends on the stage of melanoma when it is first diagnosed and treated, Dr. Weber says. What can someone do to help prevent cancer from returning? Living a healthy lifestyle is key, Dr. Weber says. Eating right, exercising, and using sunscreen are important, as well as limiting your alcohol consumption. Stay away from things that could compromise your immune system, such as steroids, he says. There are also targeted drugs that can help reduce your chances of having melanoma return. What treatments help lower the risk of recurrence of melanoma? If your melanoma has a high risk of recurrence relapse, then a doctor might use adjunct therapy — an additional treatment, such as certain drugs — to reduce that risk. One new adjunct treatment option available targets the immune system. New treatments for melanoma work to target the immune system to reinvigorate it. The drugs are called PD1 antibodies and have been shown in studies to reduce the return of cancer by 35 percent and potentially prolong the life of the patient, Dr. Weber says. These drugs are used after surgical removal of the tumor. The newest drug, nivolumab (Opdivo), was approved in December 2017 for treatment after surgery to help prevent the recurrence of melanoma. If you’ve had melanoma in the past, talk to your doctor about your personal follow-up schedule and potential treatment options after surgery.